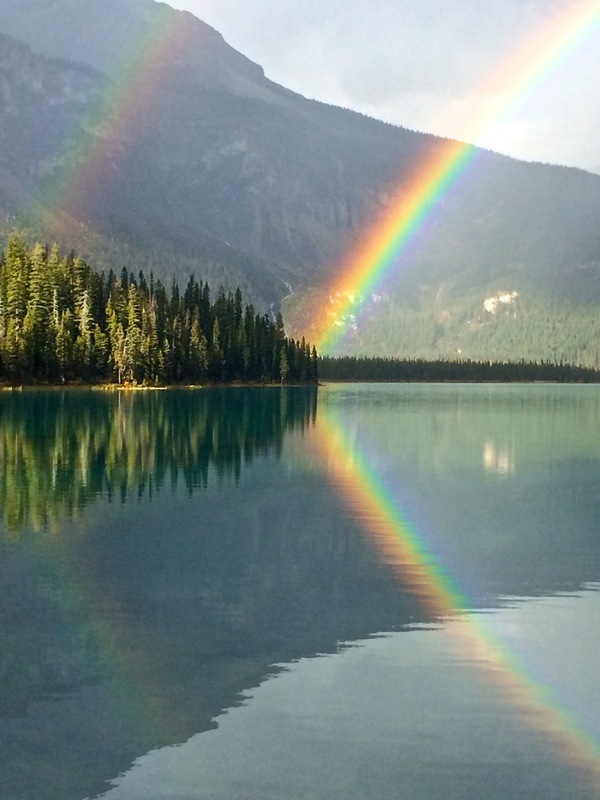 This was an absolutely magical moment this afternoon while we were visiting Emerald Lake. I was taking a picture of a line of red canoes stacked against each other when I heard a gasp from a group down the lake. 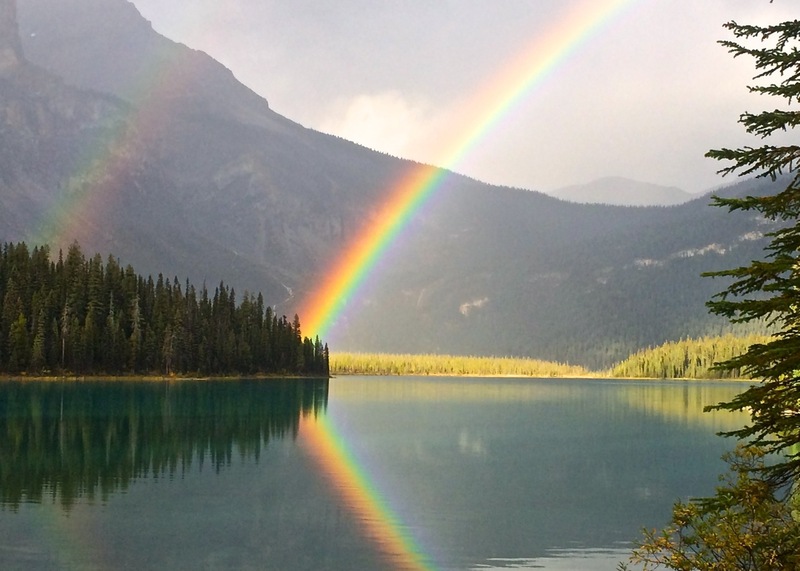 I looked up to see a magnificent rainbow and its reflection. A second gasp went up when a second rainbow appeared. As if that wasn’t enough we snapped away as the sun hit the pine trees and the rainbow colors’ intensity increased until it looked like it was lit with neon. A once in a lifetime vision.